Grazie per la prenotazione. Verrai contattato e breve. The Bed and Breakfast “il Castellare”, a family B&B, is located in the heart of the Tiber Valley, in a strategic position for a quick tour or a pleasant week full of significant content, nature, history, culture, gastronomy and oenology. Learn more about Bed and Breakfast! 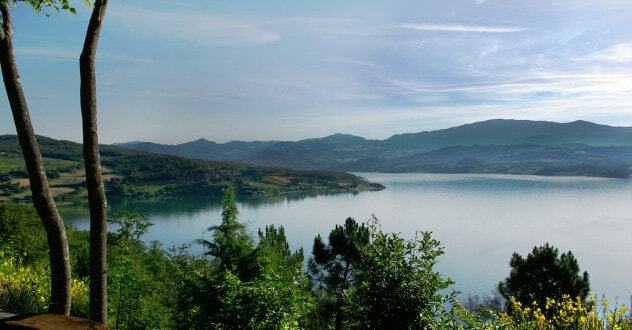 3 km away from us is Lake Montedoglio offering to those who love fishing good fish fauna and where you can practice canoeing, sailing and windsurfing. For those who love motorcylce our streets offer: the Valico di Via Maggio, the Passo dello Spino, Bocca Serriola and Bocca Trabaria… a paradise for bikers!!! (we offer a large garage to park the bike indoor). For those who love mountain bike they will ride through hills and trails specifically designed for all lovers of this sport. 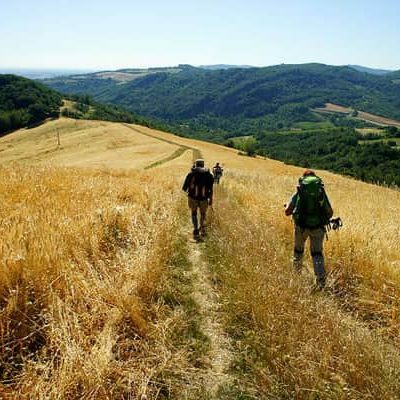 Trekking enthusiasts will find, in our land, beautiful routes to travel including the famous Franciscan path. 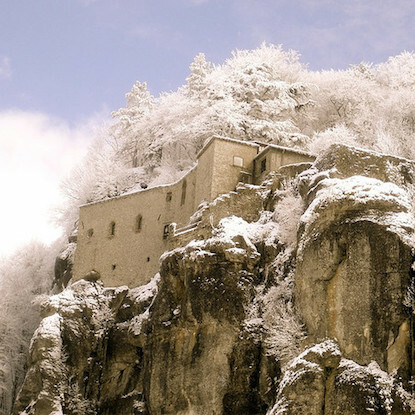 La Verna is the most famous monasteries of the Casentino and one of the most relevant Franciscan places. 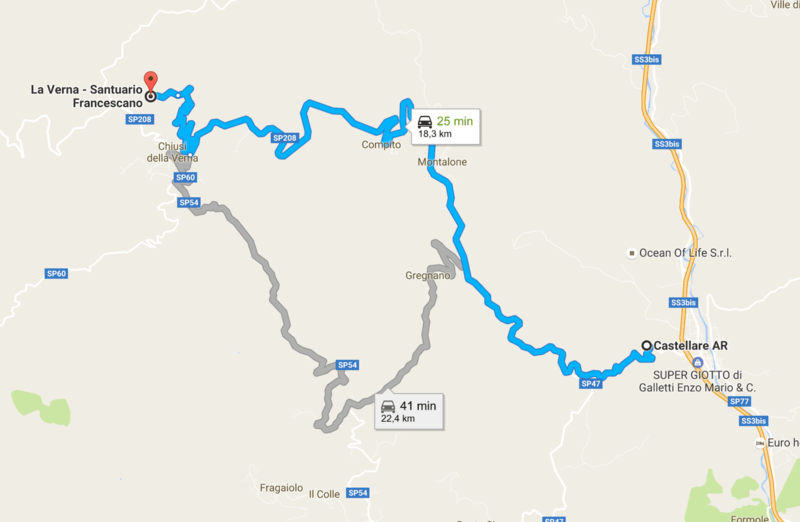 The Verna Sanctuary is about 13 kilometers from our accommodation and is easily reachable by car. The mountain where is located the sanctuary is covered with a monumental and dense forest of beech and fir trees and is visible from both the Casentino from high Tiber valley having a unique shape with its peak of well 1283 meters cut into three parts. Surrounded by forest on the rock the Sanctuary is that inside its massive architecture holds many treasures of spirituality, art, culture and history. The weather to these heights is much cooler and much more ventilated than the plain, then we recommend to all guests of the sanctuary to bring along winter clothes and a windbreaker. The Shrine has become famous and a destination for thousands of tourist (especially in the summer and spring bridges) because this is where he retired San Francisco for his periods of silence and meditation. It is the Sanctuary of the Verna that the monk took the stigmata becoming also externally the image of Christ which already resembled his heart and life. It was just that the greatest gift that Saint Francis of Assisi made to the friars of La Verna and it has become today the main message of the entire Franciscan community that wants to transmit to all those who visit the Sanctuary of the Verna . La Verna has thus become one of the most famous pilgrimage destinations and visitors can stay at the B&B il Castellare to be able to fully experience a holiday full of spirit and meditation. In a few lines it is hardly possible to describe and to understand the mystique of a place like La Verna. The beauty of its architecture, the sophistication of its works of art, the incredible views that can offer leave a lasting impression to all visitors who pass from this hermitage. A special mention should be made of the Sasso Spicco de la Verna: a short but spectacular pass on the precipice of the cliff that is located behind the main monastery. La Verna is also a place rich of art works like the Della Robbia pottery and in the basilica it one of the best preserved is the Andrea Della Robbia: the Annunciation. We invite all guests who want to make a visit to the Franciscan sanctuary to contact us for more information about the Hermitage de la Verna and about to stay at our Bed & Breakfast. 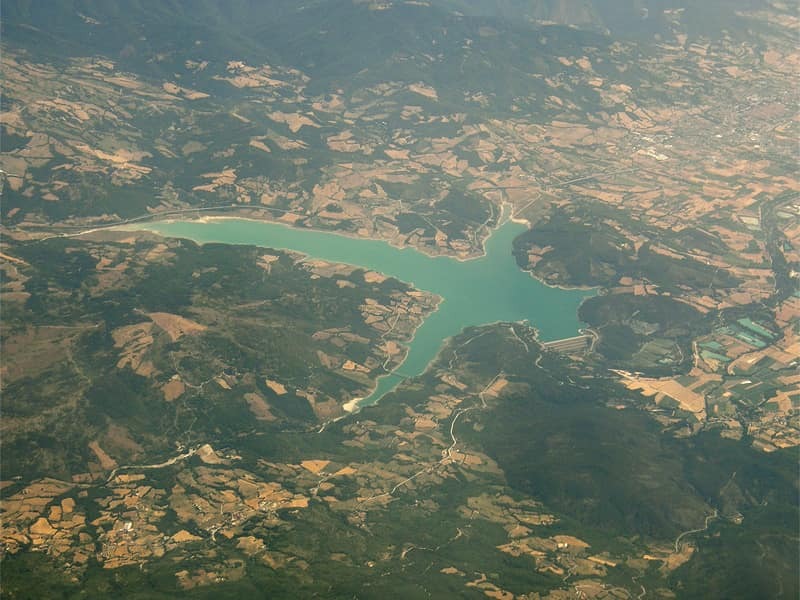 The Montedoglio lake is a reservoir designed since the sixties damming the River Tiber. 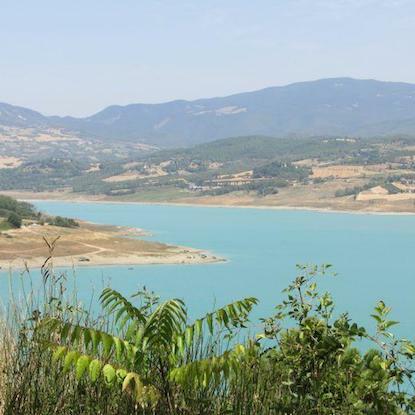 The Lake Montedoglio it is situated about 8 km from our accommodation and is an artificial lake created in the early seventies to provide the water network in the Tiber Valley and surrounding countries. The Dam Montedoglio also serves as a barrier for the river, that is born right next to us in the Mount Smoke Stack and then avoids the drought in summer and floods in winter. 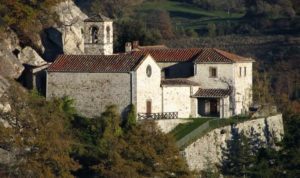 Montedoglio covers a vast area that starts from Pieve Santo Stefano until you arrive at Anghiari and Sansepolcro skirting mountains, vast forests and farmlands. The Montedoglio basin has not yet reached its maximum size but the visual impact for those coming from the Highway E45 or pass of Via Maggio is spectacular giving an image to even more unique valley. In Lake Montedoglio you can fish with almost all techniques such as spinning or stroke. The species that can be caught more easily are: barbel, chub, carp, trout, tench, perch, rudd, roach, bream and roach. You can also use the carp but also ledgering with only the “License Government” paying attention to the signs that show the areas in which fishing is closed at certain times of the year. The carp in particular is one of the most used in the lake as it is possible to find Carpe over 20kg very resistant to the capture of fishing techniques. In the stretch of the river Tiber until the dam is reached for a stretch of about 13 km you can do fly fishing or Fly Fishing; This basin is one of the most famous all over Italy for this type of fishing. 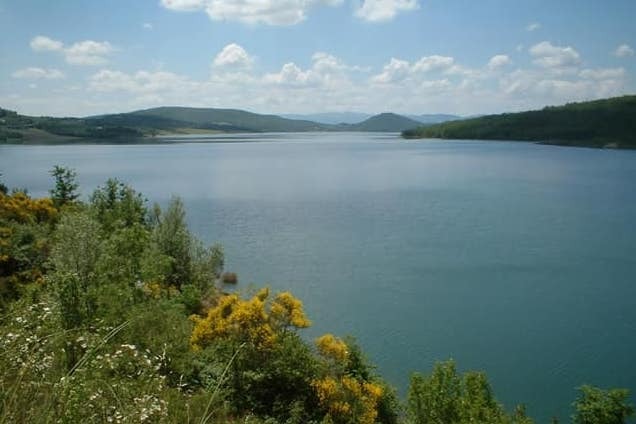 The Montedoglio Dam attracts many water sports enthusiasts. And ‘you can rent kayaks, paddle boats or sailing boats or go windsurfing and kitesurfing immersed in the Tuscany Valley. 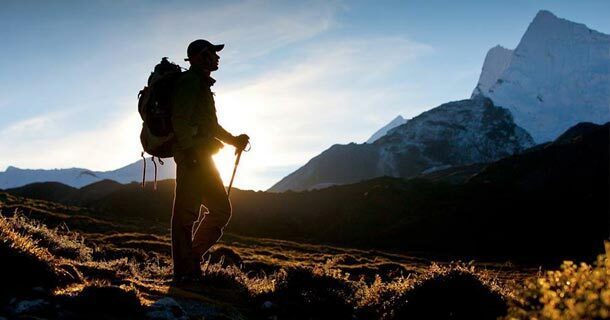 Are you trekking enthusiast? Pieve Santo Stefano is a stop of the Franciscan way. Find out more! 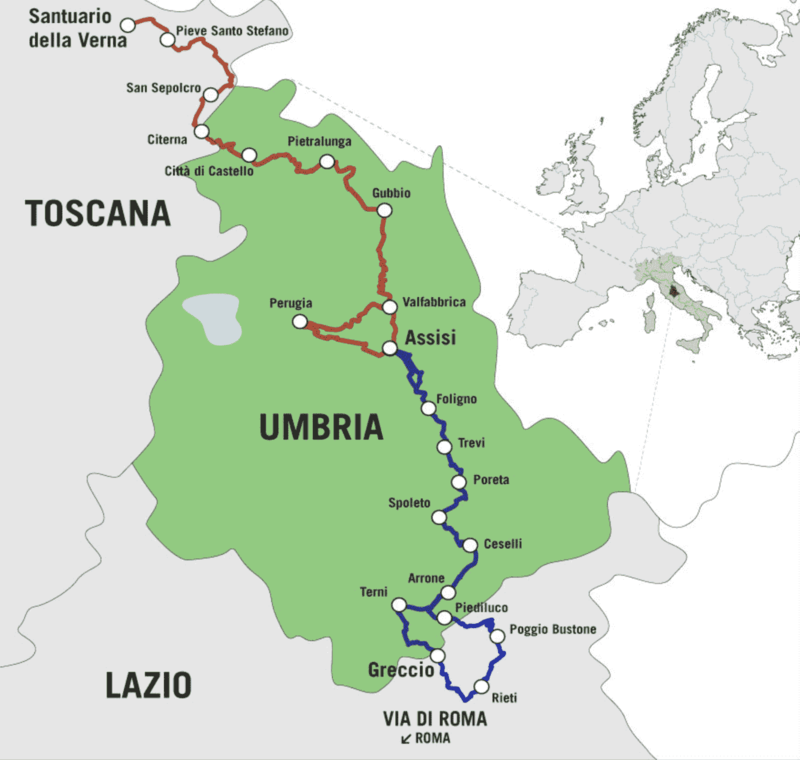 The journey of Francis is a route that links together some “places” that testify the life and preaching of the Holy Assisi ; a “new” path of pilgrimage , which aims to revive the Franciscan experience in the lands that the poor man has walked in his itineranze. 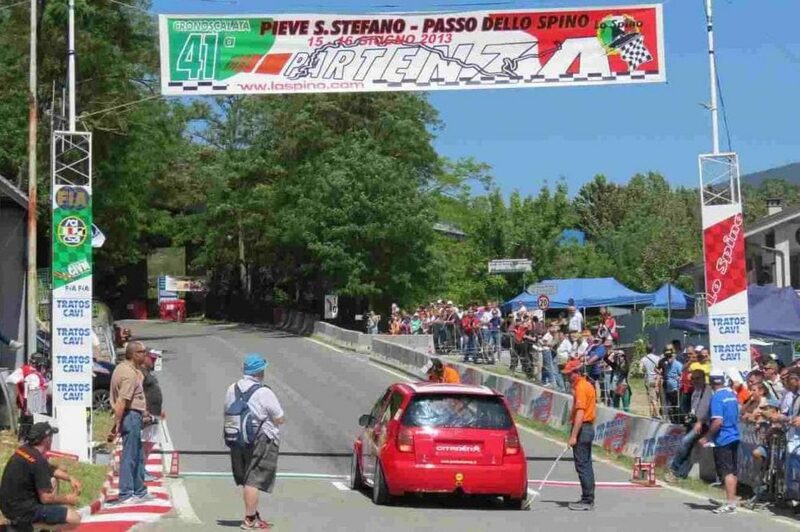 Pieve Santo Stefano is on the way and is a stage of very special stop. 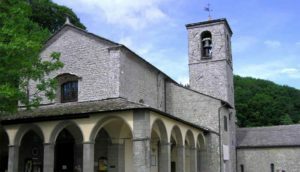 Among lovers of trekking and devotees certainly pilgrimage should not miss a visit to Cerbaiolo , a holy place situated above Pieve Santo Stefano, why indeed … about He was at la Verna and not Cerbaiolo, saw his mother and not her son . B & B Castellare is a good solution for those looking for a place to dwell in the way of St. Francis, the right compromise between comfort and affordable. Tema e design by Nibble S.r.l. Servizi Web. Tutti i diritti riservati.